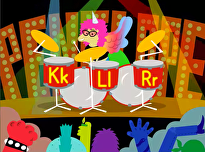 Learn lowercase "k" with the kirin! 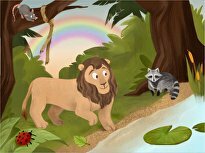 This mythical creature is well-known in most parts of Eastern Asia. 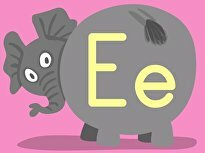 Have fun giving this cutie some colour as you help your little learner sort our her lowercase alphabet. 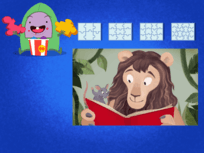 Kick-start alphabet learning for your kindergartener with this kooky "K" jigsaw puzzle! 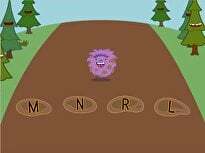 Your child can practise reasoning skills as he practices his ABC's. Give your little one some practise forming a capital letter "K" with these cut-out shapes. 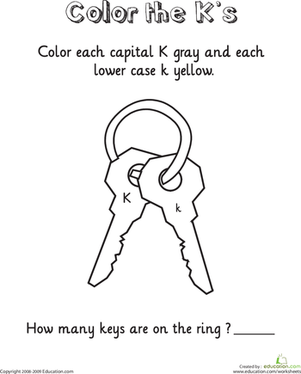 Help your little one practise her ABC's with this coloring page all about the letter "K". 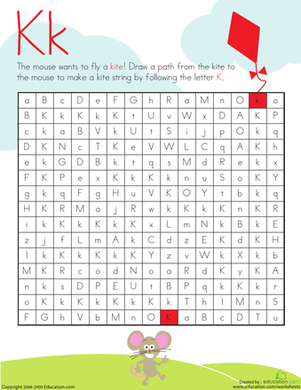 Kids help a mouse fly a kite by completing a K maze on this year one reading worksheet. 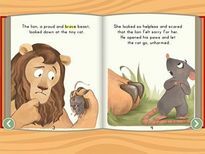 They draw a path from the kite to the mouse by following the K's.